Additionally, you are free to choose from a number of elective courses in subfields such as theoretical linguistics, psycholinguistics or computational linguistics. 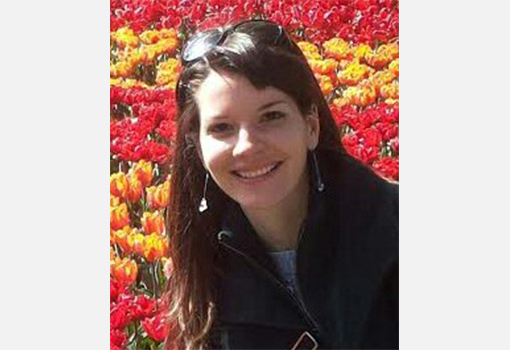 This allows you to design your curriculum based on your own academic interests.Read more about Lisanne de Jong and why she chose to study Language and Cognition in Groningen!Questions? Send Lisanne an e-mail! I conducted a number of small, practical research projects, so the programme felt very interesting and dynamic, and the lecturers were always incredibly enthusiastic and ready to help. Not only was the programme itself good, I also very much enjoyed living in Groningen, a small but beautiful and vibrant student city. I am currently studying for a PhD at the University of Amsterdam, conducting research on language learning in adults. My MA programme and the lecturers involved in it were ideal preparation for my PhD research; I rely on many research skills that I acquired in Groningen, such as critical thinking, designing experiments, analysing data from experiments and writing academic papers. I’m really grateful for all the programme taught me. Thanks to this solid foundation, a PhD doesn’t feel like a difficult undertaking. I would very much like to continue doing research in my future career, but I would also like to combine it with more applied work, such as developing new language teaching methods and materials. Language and Cognition aan de Rijksuniversiteit Groningen is beoordeeld door 16 respondenten. Gemiddeld waarderen ze de opleiding met 3.6 uit 5.